You can always check the current status as well as the history of your purchase orders by the use of the customer-access > "My Account" > "My Orders". 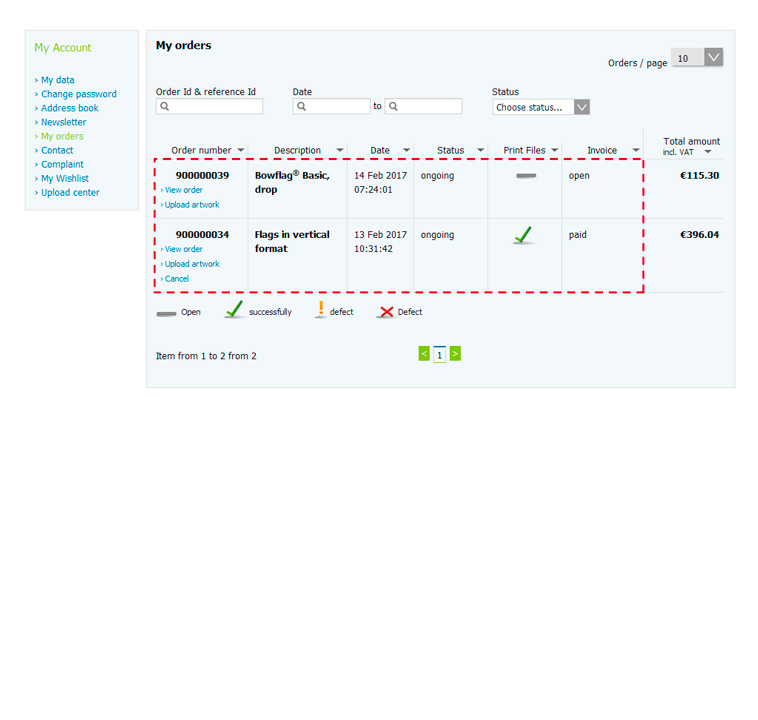 Vispronet® offers you the option to reorder an already finished purchase order, within a 365 days long period. 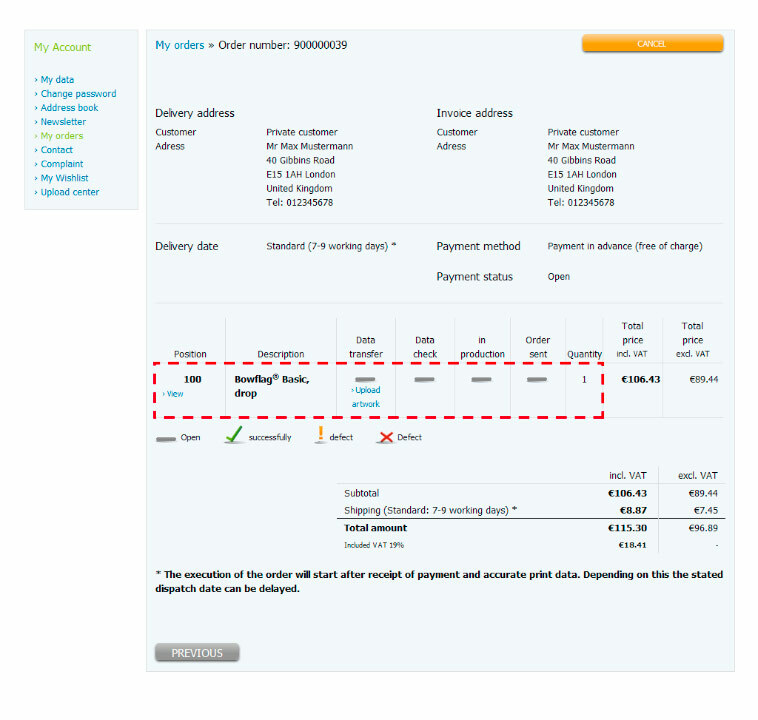 In order to do so, click at the order summary page on "Reorder". The order summary page offers you alternatively - also by clicking on "Reorder" - the option to reorder the positions separately. These two free services enable you to reorder the same products, without having to send in the data-files for the printing all over again!